When the movies got sound, a lot of actors just could not adapt. It was a medium that chewed up and spit out a lot of talented people. Another medium that did this (but to a lesser degree) was television. Many radio stars who were popular in the 1930s and 1940s, found themselves out of work in the 1950s. Even though Fred Allen appeared on television, I do not think he obtained the level of fame he once had in radio. Personally, Fred Allen was not much of a comedian, but his radio show from 1932 to 1949 was one of the most popular shows of radio's golden age. Unfortunately, if I would ask 100 people under 60 who Fred Allen was - they would not know. Yes, Fred Allen has been gone for 55 years, but his talent and his humor should not be underestimated and forgotten. 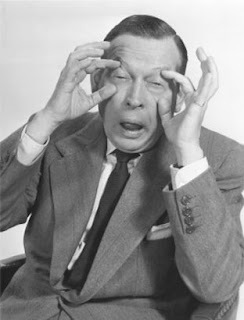 Born on May 31, 1894, Fred Allen was more of a humorist than a comedian. 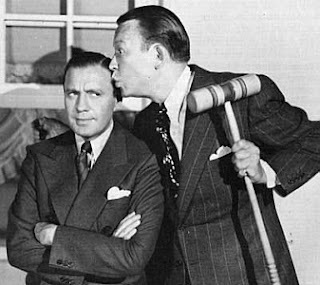 His best-remembered gag was his long-running mock feud with friend and fellow comedian Jack Benny, but it was only part of his appeal; radio historian John Dunning (in On the Air: The Encyclopedia of Old-Time Radio) wrote that Allen was radio's most admired comedian and most frequently censored. A master adlibber, Allen often tangled with his network's executives (and often barbed them on the air over the battles), while developing routines the style and substance of which influenced contemporaries and futures among comic talents, including Groucho Marx, Stan Freberg, Henry Morgan and Johnny Carson, but his fans also included President Franklin D. Roosevelt, and novelists William Faulkner, John Steinbeck and Herman Wouk (who began his career writing for Allen). 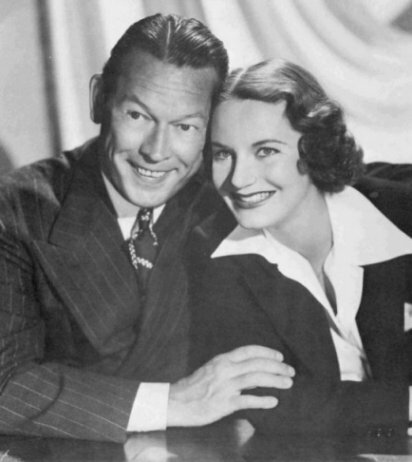 Fred Allen's first taste of radio came while he and his wife Portland Hoffa waited for a promised slot in a new Arthur Hammerstein musical. In the interim, they appeared on a Chicago station's program, WLS Showboat, into which, Allen recalled, "Portland and I were presented... to inject a little class into it." Their success in these appearances helped their theater reception; live audiences in the Midwest liked to see their radio favorites in person, even if Allen and Hoffa would be replaced by Bob Hope when the radio show moved to New York several months afterward. Allen's show was top rated through 1946. Allen was able to negotiate a lucrative new contract as a result not only of the show's success, but thanks in large measure to NBC's anxiety to keep more of its stars from joining Jack Benny in a wholesale defection to CBS. The CBS talent raids broke up NBC's hit Sunday night, and Benny also convinced George Burns and Gracie Allen and Bing Crosby to join his move. Unfortunately, Allen fell to number 38 in the ratings, as television began its rise as well. By this time, he had changed the show again somewhat, changing the famed "Allen's Alley" skits to take place on "Main Street," and rotating a new character or two in and out of the lineup. He stepped down from radio again in 1949, at the end of his show's regular season, as much under his doctor's orders as because of his slipping ratings. 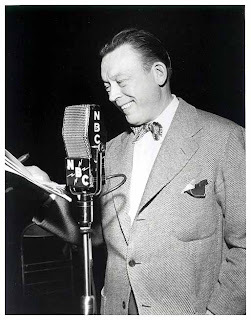 He decided to take a year off, but it did more for his health (he suffered from hypertension) than his career; after the June 26, 1949 show, on which Henry Morgan and Jack Benny guested, Fred Allen never hosted another radio show full time again. Allen tried three short-lived television projects of his own but they all failed. Allen finally held down a two-year stint as a panelist on the CBS quiz show What's My Line? from 1954 until his death in 1956 (March 17, 1956). Allen actually appeared as a Mystery Guest on What's My Line? on July 17, 1955, when he was taking a week off from the show to have an emergency appendectomy. Afterwards he joked about the operation: "It was an emergency. The doctor needed some money hurriedly." Allen also spent his final years as a newspaper columnist/humorist and as a memoirist, renting a small New York office to work six hours a day without distractions. He wrote Treadmill to Oblivion (1954, reviewing his radio and television years) and Much Ado About Me (1956, covering his childhood and his vaudeville and Broadway years, and detailing especially vaudeville at its height with surprising objectivity); the former – which included many of his vintage radio scripts – was the best-selling book on radio's classic period for many years. Overwhelming tribute to one of the best entertainers who ever lived -- I am almost speechless (only almost-LOL!). This has to be one of the best things you've written yet. Maybe I feel that way partly because I love Fred Allen. My life timeline and his are too different for me to have experienced him live on radio, other than bits I have been lucky enough to hear on documentaries, things like that. Maybe your article will inspire more people to find out about the many genres of work of Fred Allen, a seminal entertainer of such great talent. Wow, you are too kind. I have always enjoyed Fred Allen. I love listening to his old radio shows. Thanks again for all the great words - your blogging ability is what I strive for though! Enjoy Fred's movie "It's In The Bag."